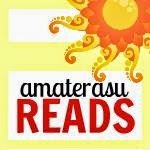 Amaterasu Reads: Waiting on Wednesday (59): 2012 Contemps! Waiting on Wednesday (59): 2012 Contemps! Anybody here having problems with slow mail service? It kind of reminds me of Michele Jaffe's Rosebush, minus the thriller/stalker aspect and more of real-life, tough situations and also a little bit of Here Lies Bridget. I have a feeling this is mostly about Gabby's life and transformation to someone else. Sounds like a heart breaking book, actually. I wonder what happened. Maybe someone died? We'll never know unless we read the book. Want?Add to your Goodreads shelf! Now this should be quite a challenging read. Would you really want to read the reasons why you broke up with someone? No? But for some reason I want to read this, the story about those bottle caps, movie tickets and all the other stuff left in the aftermath of Min and Ed's relationship. And it looks like it will have illustrations! So what are you guys waiting for this week? I'm pretty excited to get my hands on both books in my WoW meme today! I love these covers! They both have exciting premises as well. Awesome picks, Kai! I have these on my TBR list as well. Great choices! Thanks for stopping by. Great choices, both sound really good. I especially can't wait to read Where It Began. Why We Broke Up is on my TBR/Wishlist. As for the other title, Where It Began, this is my first introduction and it looks like a book that I may enjoy. Thanks for the suggestions! They both look good. I have an ARC of Why We Broke Up but I haven't gotten to read it yet. Both books sound great. 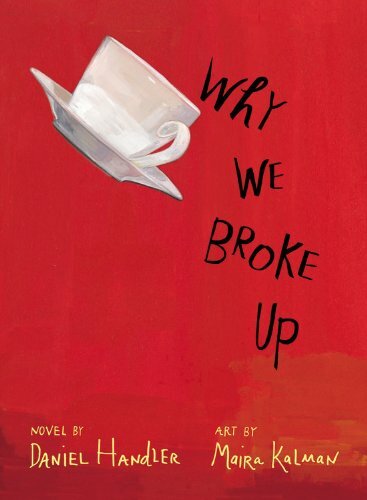 I'm particularly intrigued by "Why We Broke Up", so I'll be adding it to my TBR. The summary does a good job of really catching my attention. If you like, stop by and check out my WoW. Thanks for stopping by. Both of these sound interesting. Nice picks! I love the cover of Where It Began and am waiting on it,too! I've been on a contemp kick lately! I'm really excited for both of these -- especially Why We Broke Up! Great picks! I definitely need more contemps in my life so thanks for featuring these two. They sound great! Two awesome books! I love the cover for Where it Began. Gorgeous! Great picks! I have both of these on my TBR list. They both sound really awesome and I can't wait until they come out :] Great picks this week! Both of these sound really good. Thanks! Oh, I have the ARC of WHY WE BROKE UP! I haven't even really looked at it. Sounds great. WHERE IT BEGAN sounds like a great mystery, too.